It is important not to leave the design of your home or commercial building to chance, be it an extension or complete new build. Choosing Clive Elsdon Building Design as your consultant to guide you through the design process will take that chance away! We can guide you from feasibility, through planning and building regulations up to helping you to obtain competitive quotes for the construction works. 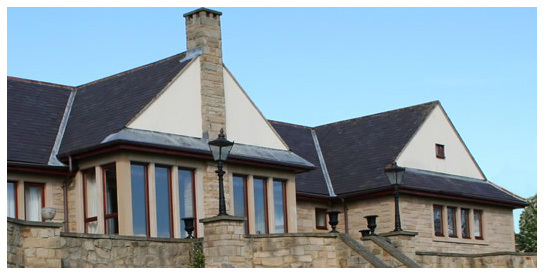 Based in Weardale, County Durham, Clive Elsdon Building Design offers a professional but personal Domestic & Commercial Architectural Design Service founded on over 25 years of experience in the industry. Whilst we can cover any part of the UK, our emphasis is on the North East of England, and in particular the DL and DH post code areas, including places such as Bishop Auckland, Consett, Crook, Darlington, Durham City, Fir Tree, Frosterley, Hamsterley, Lanchester, Shildon, Stanhope, St Johns Chapel, Tow Law, Wolsingham and Woodland to name but a few. In those DL & DH post codes (and sometimes beyond) we offer a free, no obligation, feasibility meeting. This is preferably at the site so that all the visible factors can be taken into account when considering a potential project. Don’t want to move, why not improve? Here at Clive Elsdon Building Design we realise that whether you are a home owner or a business moving is both stressful and costly, and sometimes not even an option you want to consider. This is why we will put as much care and attention to detail into a design for an alteration or extension to your existing property as we would into designing you a completely new building.